NSF: WHAT IT IS AND WHY IT MATTERS | Lafayette Restaurant Supply, Inc.
By Lee Davis If you regularly buy or sell commercial foodservice equipment and supplies, then you’re probably familiar with the… The post NSF: WHAT IT IS AND WHY IT MATTERS appeared first on Lafayette Restaurant Supply, Inc..
Not all health departments require everything in your kitchen to be NSF Certified, but everything in your kitchen that is NSF Certified, will meet any health department requirements. 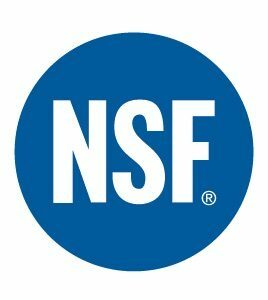 NSF International closely monitors all jurisdictions to make sure that NSF standards meet or exceed federal, state, and local health codes. In the U.S. local health departments perform inspections to verify compliance. When reviewing an operation, inspectors can quickly and easily verify equipment compliance if they see an NSF certification mark. Not having certified equipment can often raise compliance issues and even put a new restaurant’s opening on hold.